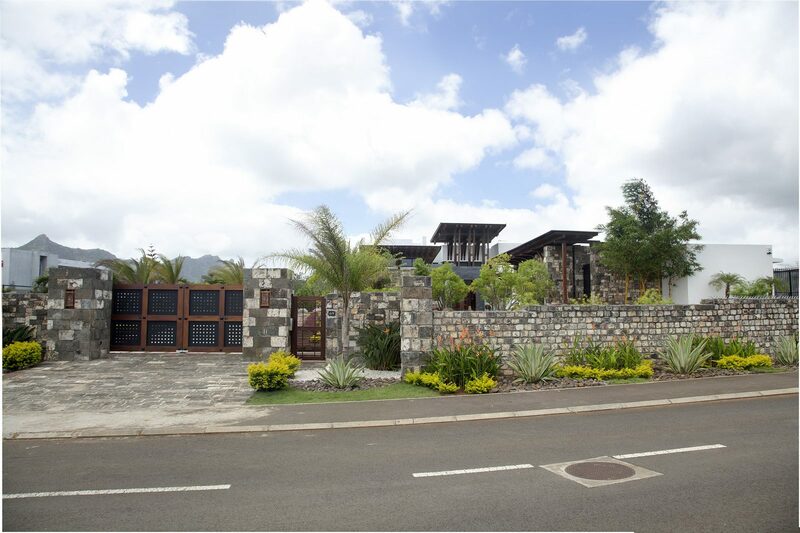 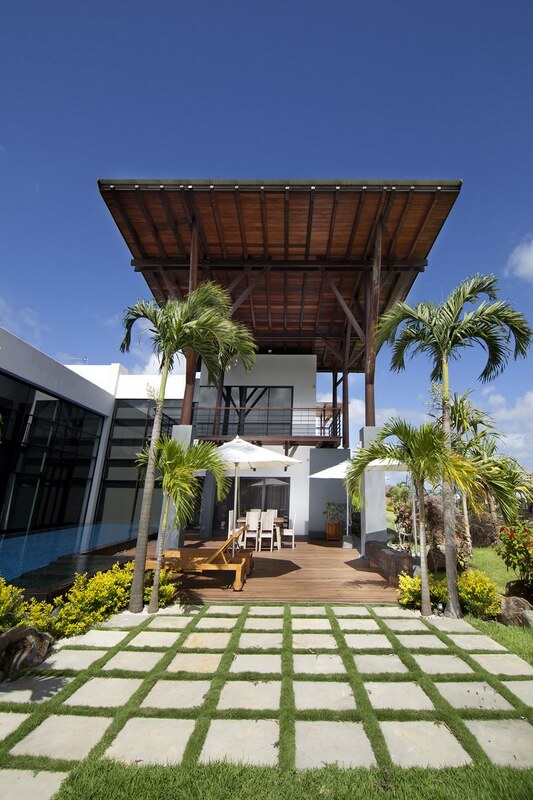 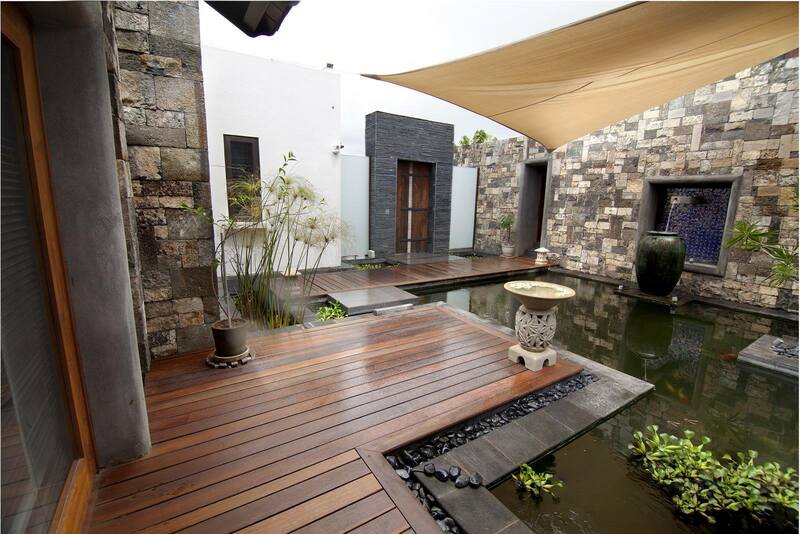 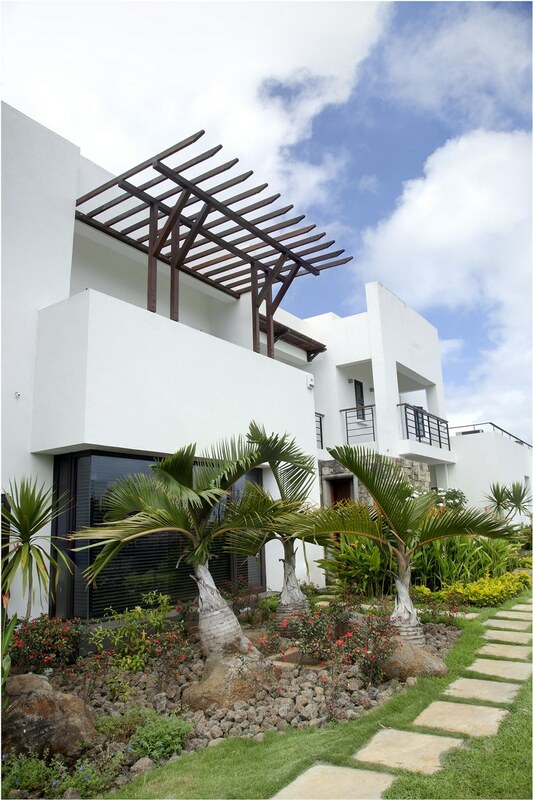 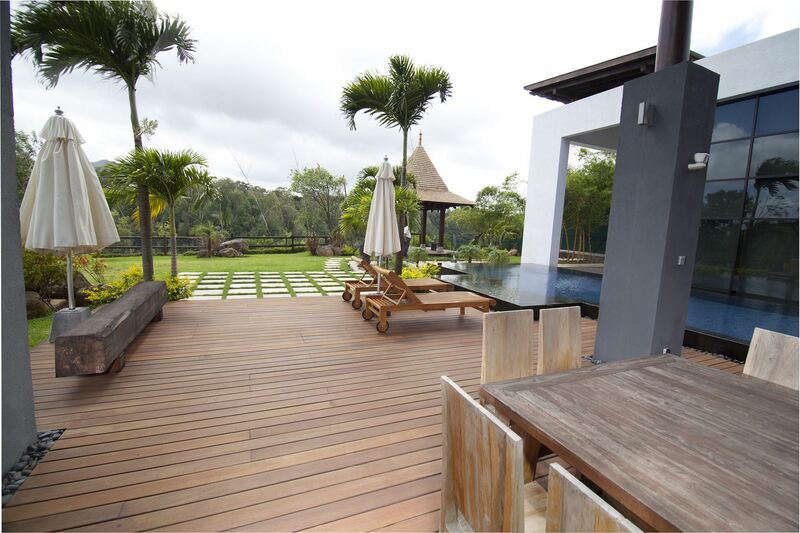 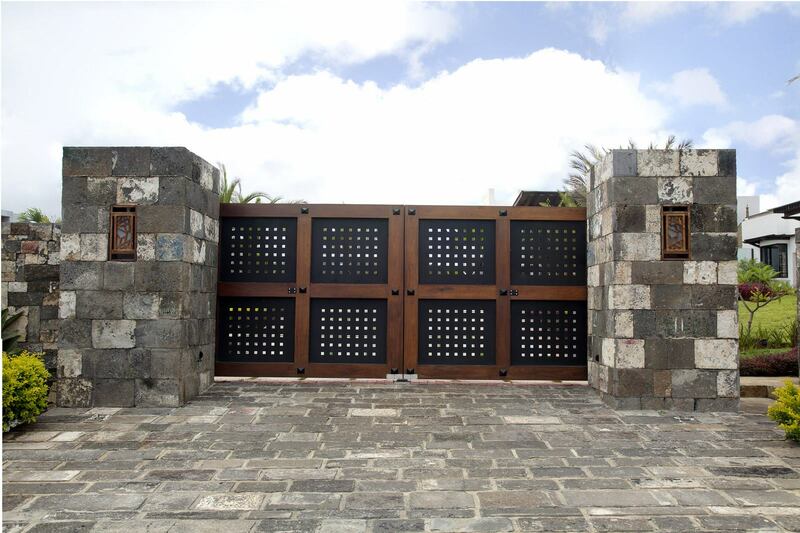 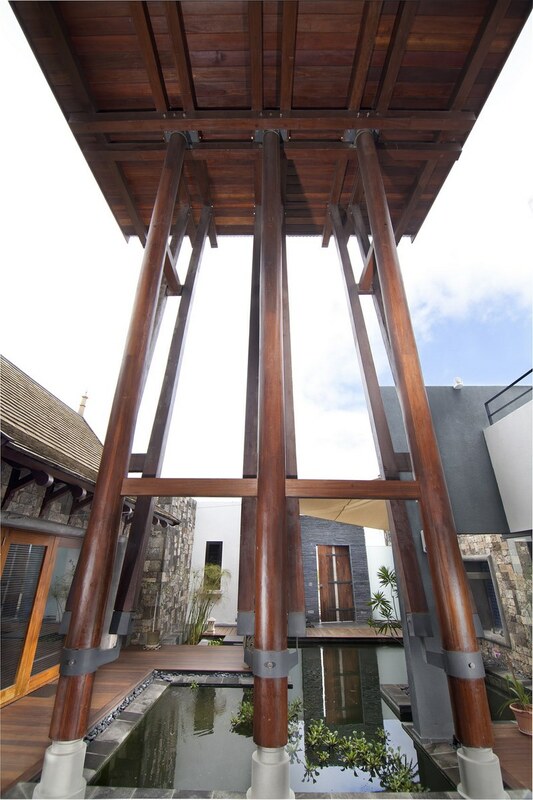 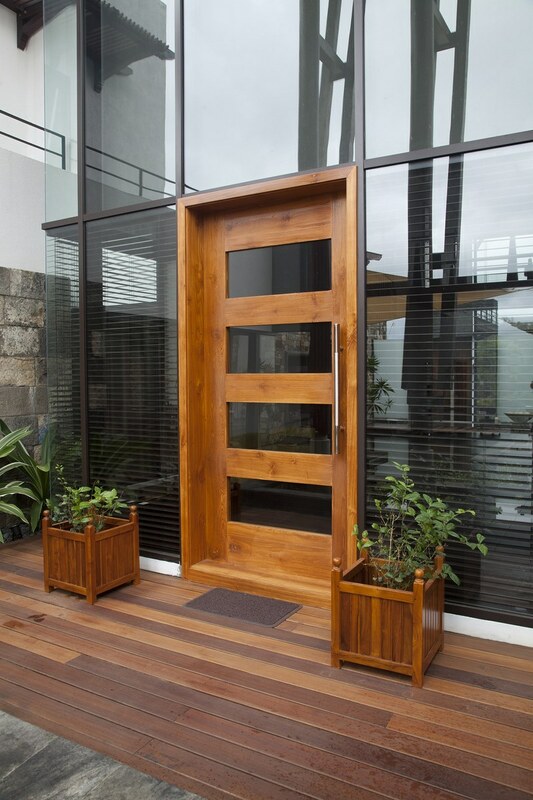 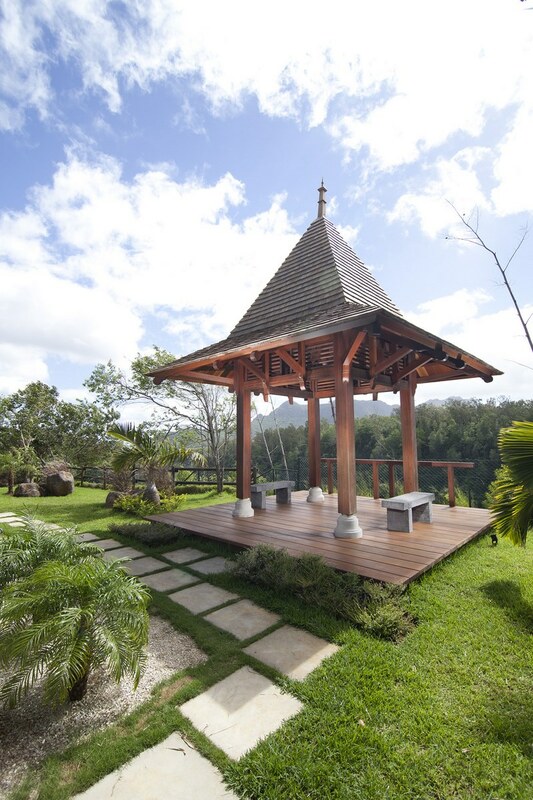 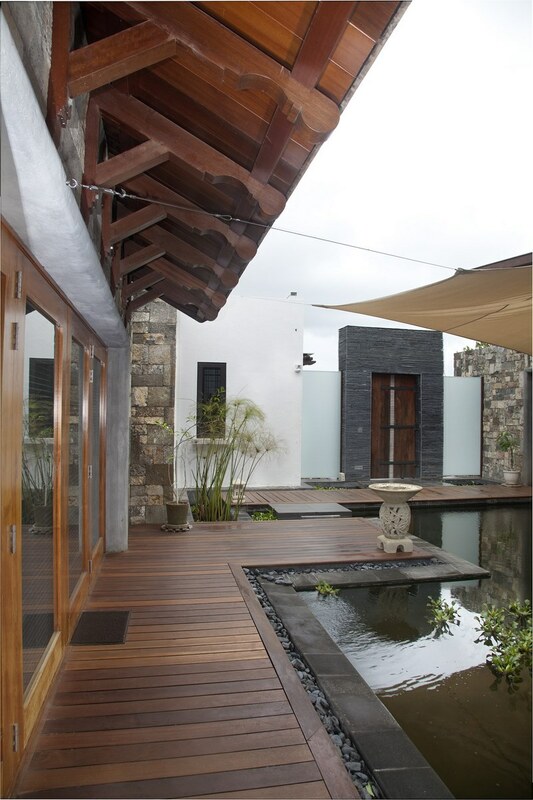 Located at Bout du Monde, Ebene, on the outskirts of Port Louis, Mauritius, the Tang Residence is an ultra-modern bungalow where timber has been extensively and effectively used in the flooring, columns, doors, windows, ceilings and roofs. 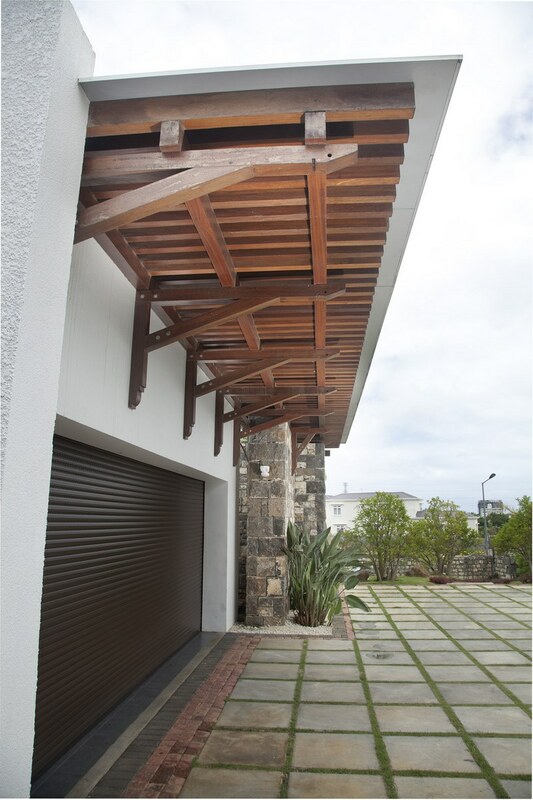 Shown here is the bungalow’s rectangular roof of an entertainment pavilion. 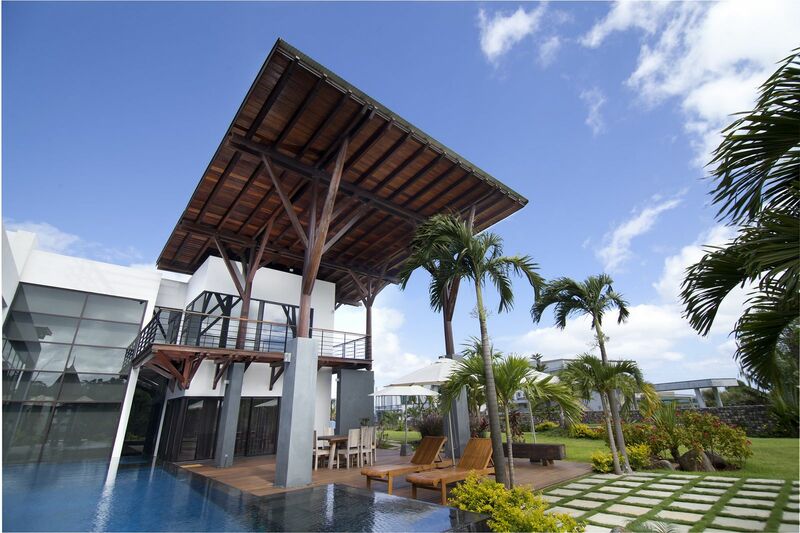 The roof is raised eight metres above the pool deck area. 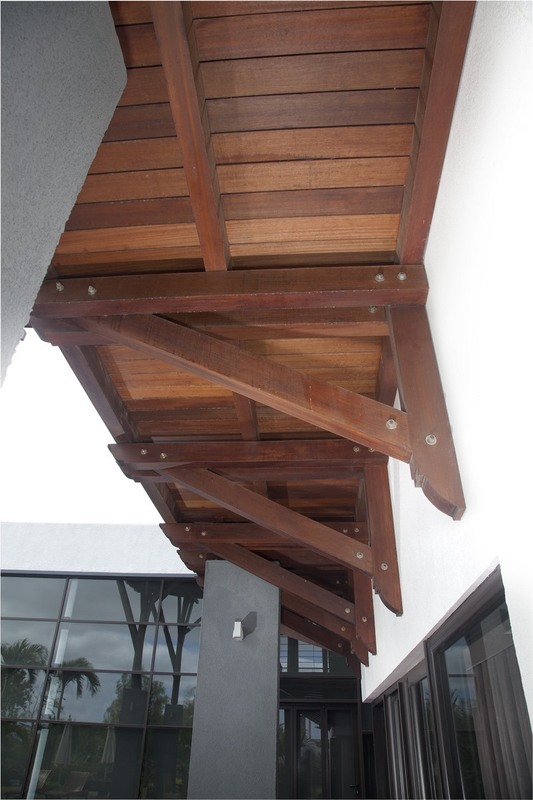 Its mono-pitched roof is supported by four laminated tapering timber posts that sit on three-metre tall masonry piers and sport supportive rafters that resemble tree branches. 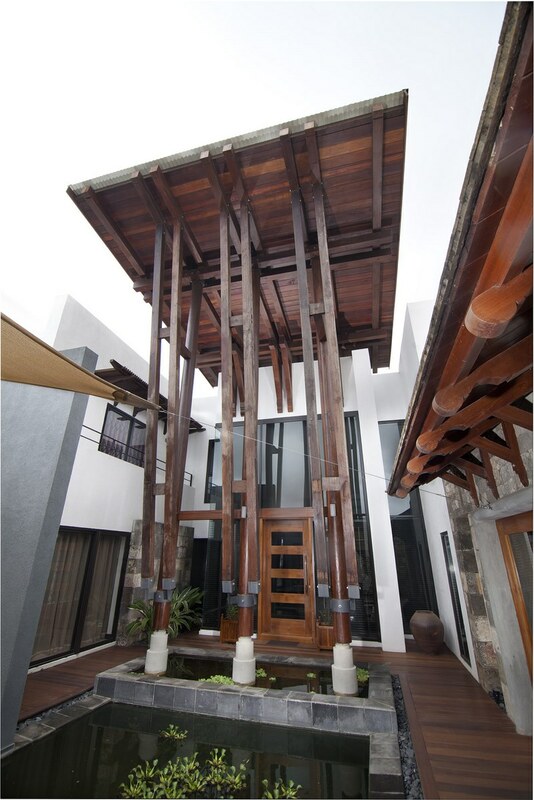 The timber posts are made of Yellow Balau, as are the deck and balcony bracketed off the masonry walls. 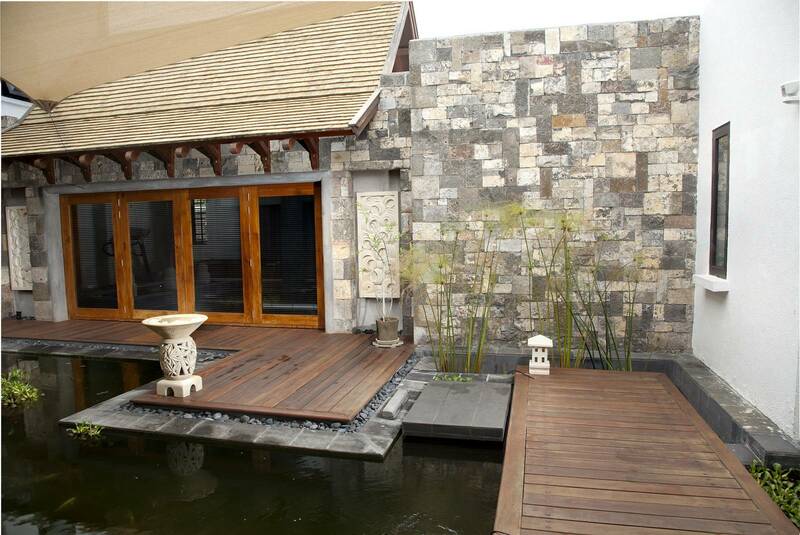 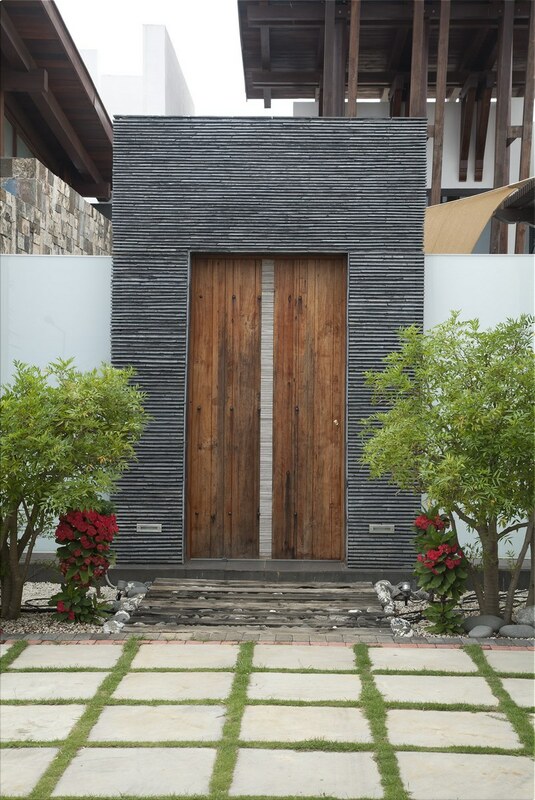 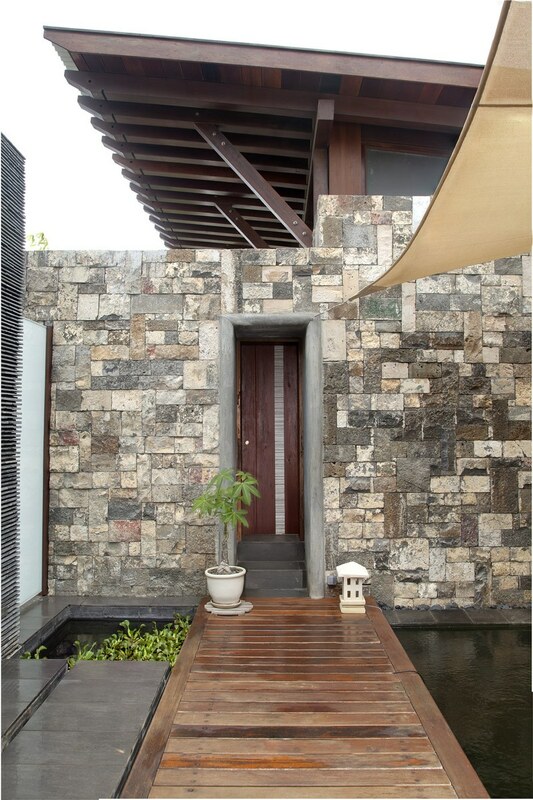 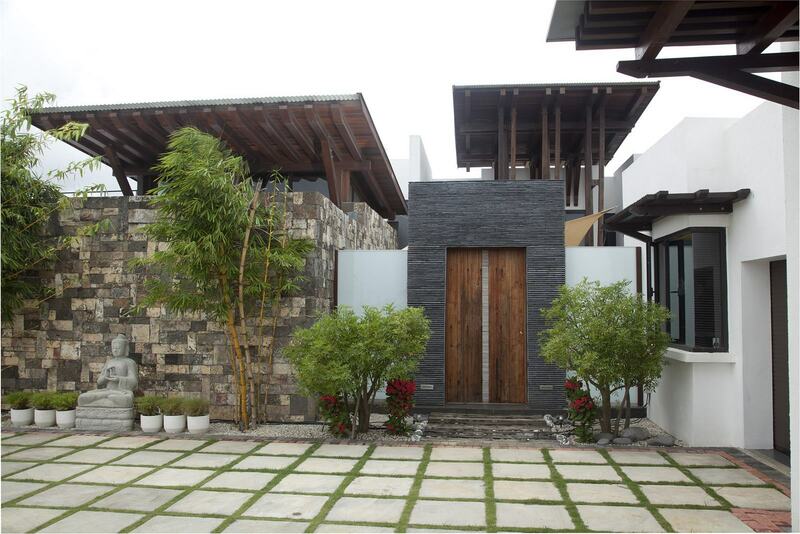 The judicious use of timber confers a luxurious feel and contributes to the resort-like ambience of the Tang Residence.